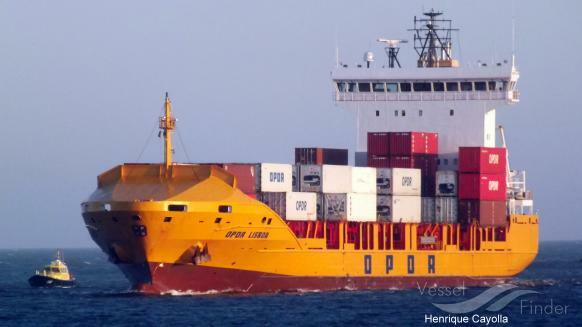 OPDR improves its established TANCAS service, connecting two significant Moroccan ports with three major ports in Northern Europe. Starting on June 21st in Rotterdam, the revised service offers improved transit times while maintaining high schedule integrity. 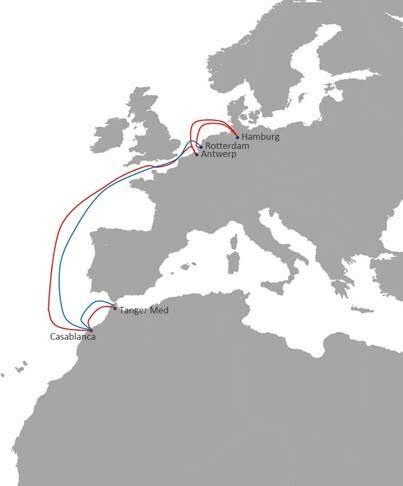 The TANCAS service links the two major Moroccan ports Tangier and Casablanca to the top 3 European ports, namely Rotterdam, Hamburg and Antwerp. OPDR will thus offer attractive possibilities for customers who require a reliable and direct connection between the above-mentioned ports. Unmatched transit times round out this service: Antwerp is linked to Casablanca in only six days. One day later, Tangier is reached which is then followed by Casablanca, Rotterdam, Hamburg, and Antwerp again. OPDR thereby strengthens its position as a leading short sea shipping company. Five ships with capacities between 2,800 TEU and 3,500 TEU are deployed on the 11-day round voyage. As usual, the new TANCAS service underlines OPDR’s customer-oriented approach: All deployed ships are equipped to carry pallet-wide equipment and therefore enable customers to ship more goods per container.